The first step of a simulation is to define parameters related the instrument. 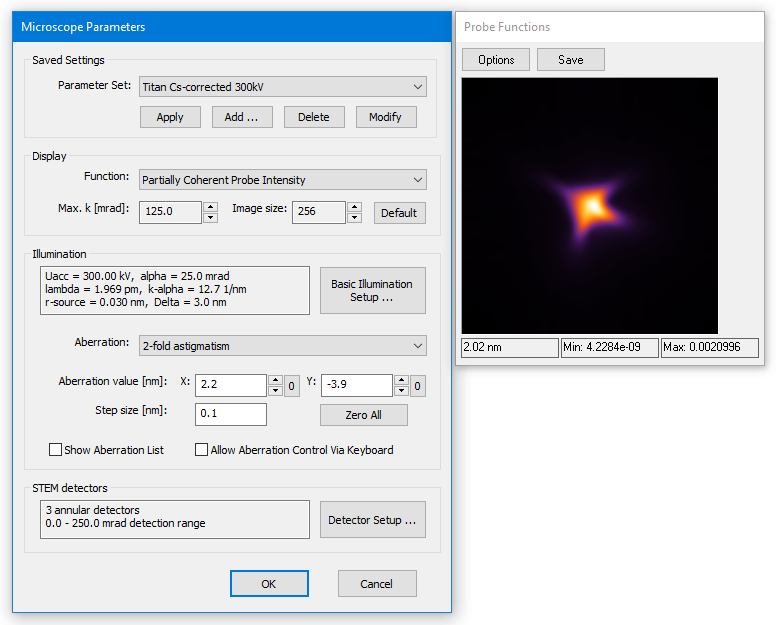 The microscope setup dialog provides controls to set and change parameters relevant for STEM image simulations. A data display window opens to the right. It reflects the current parameter	setting visually with a selected type of probe function.